Vtech 2-in-1 Trike to Bike has two modes of play. It introduces shapes, colours and motorbike items. 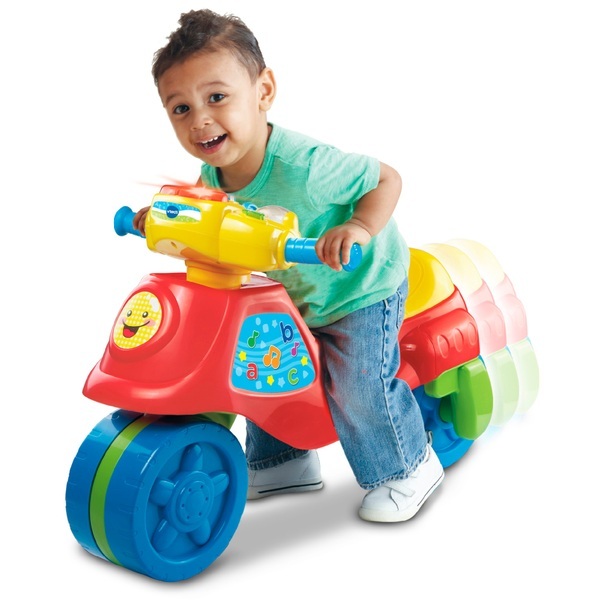 The Vtech 2-in-1 Trike to Bike arrows keys teach left and right and the speedometer plays fun motorbike sounds. Switch the wheels to change from trike to bike mode to enhance balance and motor skill development. Includes a motion sensor that plays fun driving sound effects. EU Warning: Not suitable for children under the age of 18 months due to small parts which could cause a choking hazard. Adult assembly required. Regularly check for signs of wear or tear on the snap in or locking devices.